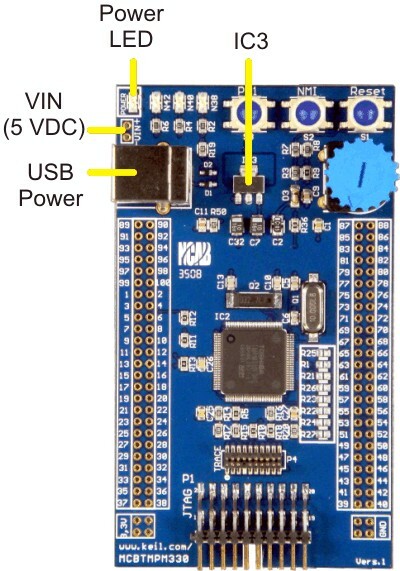 Power is supplied to the MCBTMPM330 Board on your PC using a standard USB connector. You may also power the board from a bench supply using the VIN connections on the board. The Power LED illuminates when 5 VDC is applied to either power input. The voltage regulator (IC3) generates 3.3 Volts DC.